Hey happy new financial years eve, internet! Time for the official #tuttythumbsup halfway through 2014 list of my favourite albums/other releases/live gigs that I’ve heard/seen this year so far. There’s *heaps* of things I haven’t caught up on but all of these are thoroughly recommended. honourable mentions to aheadphonehome, John Chantler, Mattin, Scraps, Tim Shiel, You Beauty and *heaps* more! honourable mentions to Austin Buckett, Brainbeau, Brain Drain, Collarbones, These Guy, Tincture and more! honourable mentions to Donny Benet, Lee Ranaldo, Robin Fox, Dolly Parton, Scattered Order, Ela Stiles, Scraps and more! One show coming up this month. My last show before I turn 30. How milestone-y is that?! 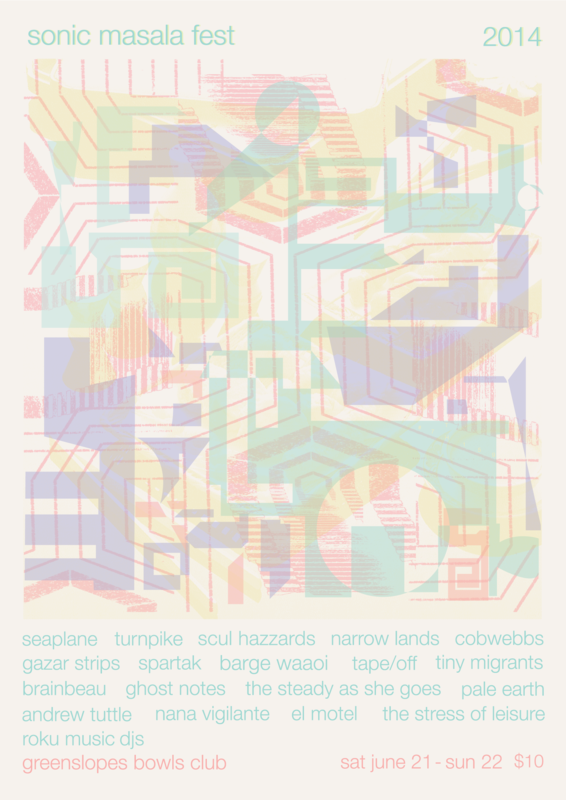 It is the inaugural festival for Sonic Masala, an excellent Brisbane-based blog/label/promoter. The lineup is fantastic – a great mix of Australian music! I’m super excited to see a lot of music at this and also to play – highly recommended. Event info is here and poster is below. 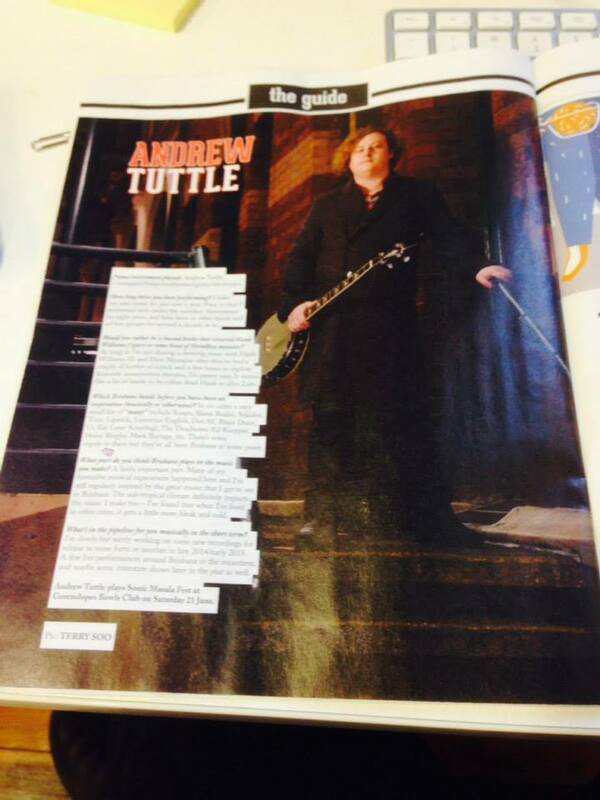 As a bit of promo for Sonic Masala fest, the good folks at themusic put me in the Brisbane edition of the magazine last week. Great to use this photoshoot we did last year – thanks to Steve Bell and Terry Soo! On a perfect day, my set would have a similar flow to BickLack, a digital mixtape I recently released on time. Have a listen/download via the link below! In other news, there’s some other super exciting news that I can’t announce yet but can in a week or two. Lips are sealed until then but it’ll be worth it!